Severe Weather Week in Georgia is Feb. 4-8, which offers an opportunity for the Emory community to review campus emergency plans for what to do in the event of disasters, according the Office of Critical Event Preparedness and Response (CEPAR). The campus community is encouraged to download the app here. 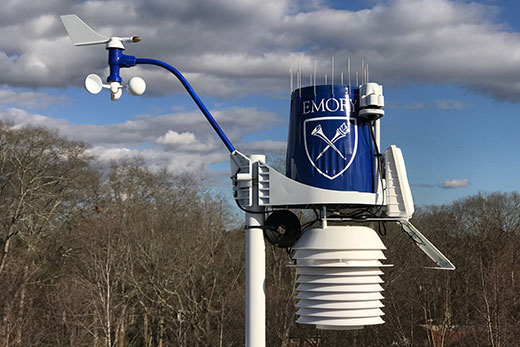 In order to enhance Emory’s ability to track changing weather conditions, CEPAR has also installed several weather stations on Emory’s Atlanta and Oxford College campuses.